Well, you’ve been suckered by the clickbait title, so now I can adjust my bold claim and instead pitch it as: most recruiters using LinkedIn either can’t or don’t bother to read. In this post I provide some evidence that recruiters using LinkedIn don’t actually read the profile of the people with whom they try to connect. Last year, I wrote a blog post telling recruiters why I’m not accepting their requests on LinkedIn and now, one year on, I figured that I’d see if my blog post had any noticeable effect on the rate at which I receive low-effort requests. The graph below shows the number of LinkedIn contacts per month that I get from recruiters before, and then after I made last year’s blog post. If anything I get a slightly higher number per month. The amount of contacts I received on LinkedIn was about the same or higher on average than those I received in 2015, prior to my blog post. I’ve excluded from these figures the requests I received from recruiters that I’ve had reason to contact in my day job in Kainos while contributing to our efforts to find Software Engineer and Architect candidates. 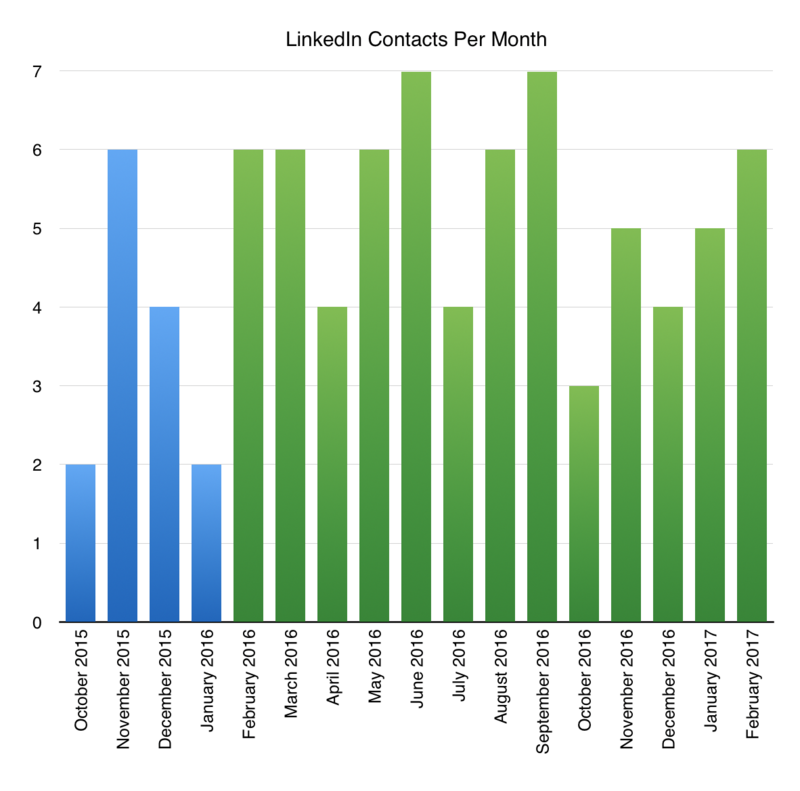 Roughly 20% of these contacts were InMail with direct offers for specific positions, and 80% were cold requests to connect. Two instances of non-fishing thanks messages from recruiters mentioning they’d read my blog and found it useful. One mention of reading my blog post and then providing a few of the pieces of information that I mention in it. Conversely, one direct contact with “my client would do unspeakable things to connect with someone with your skills” which might have seemed flattering but comes across as a bit creepy. Recruiters don’t read the text on my profile, or at least they read past my job title to the “recruiters, start here [blog link]” part and then they don’t bother reading the link that tells them how to actually get me to reply. If I was a candidate looking for work I’d take this as reason to put the most important information (e.g. desired area of work, desired location etc) in the first two lines of my profile. In as far as this mirrors most people’s attention span when reading newspaper headlines versus article contents, or opening paragraphs versus the whole text, this should not really be surprising to most of you. 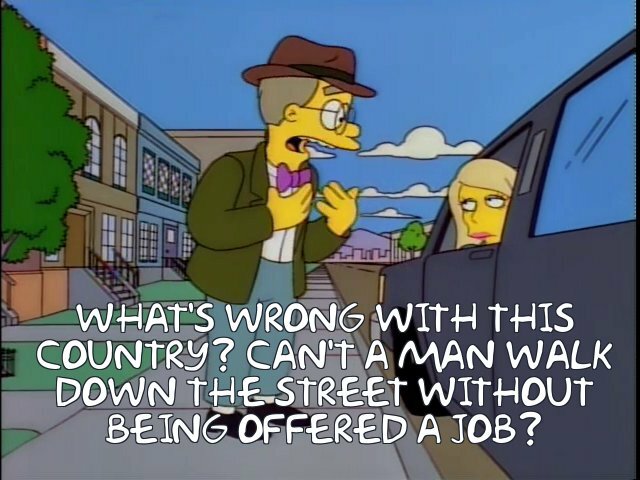 Or, at least, the most of you who are still reading this far down. For me it’s clear that there’s little benefit to me in using my LinkedIn profile as a way of making a passive presence on the off-chance that some relevant and tailored offers come in (and as I’m not actively looking that suits me fine). Thanks to some feedback from Leila Uslander and Danny Stacy who gave us a session in Kainos on what people can do with their LinkedIn profiles, what I think I should do differently is use my LinkedIn profile as a better example of someone working at Kainos. My profile does read somewhat drily as a virtual CV, so I should probably take some time and spruce it up in the near future. If candidates look me up either from being told I’m their interviewer or elsewhere (which has happened), then they get a clearer view into what we do and how we work, and it’ll help build a more detailed profile of the company. I think I’ll also cross-post a link to this blog post there too and see what kind of engagement I get from sharing given the network built up already. Using it as a means to share content with other people may prove more useful than passively denying new recruiter connection requests!